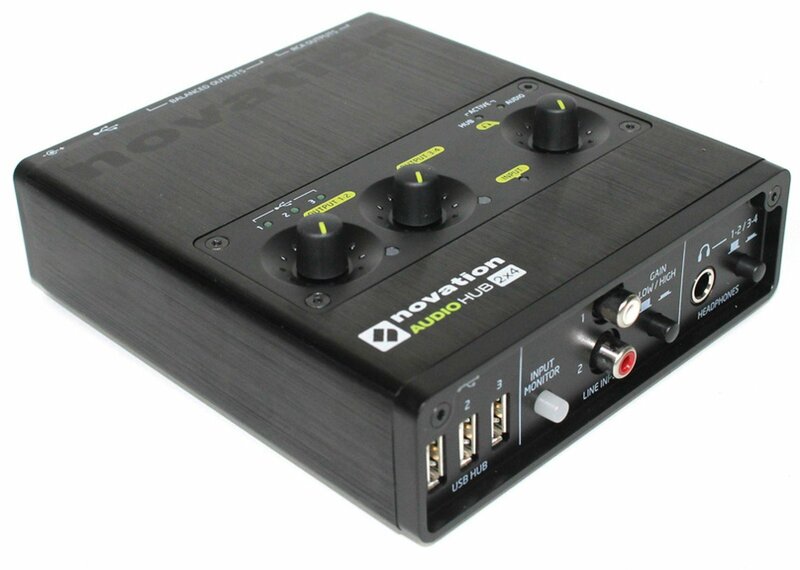 This isn't just a USB hub; it's a powerful audio interface too. We partnered with Focusrite, who make the best sounding audio interfaces in the world, to make sure Audiohub 2x4 gives you extraordinary quality 96 kHz, 24-bit audio performance. This allows you to sample and capture pristine quality audio and listen back with zero latency at the push of a button. 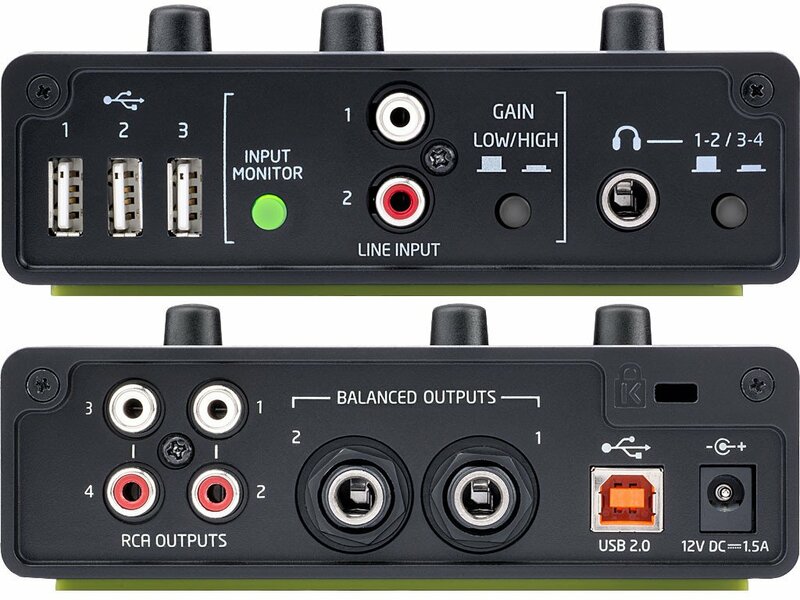 Connect your main speakers and cue sub to high quality balanced and unbalanced outputs, with totally independent level control. The headphone output is also ludicrously loud, which is essential. We put all the volume and status controls on the top, to make them easy to access in the darkest environments, then housed the whole thing in a rock solid metal case. Leave the complexity at home. Connect all your DJ equipment to a single rock solid unit, with blisteringly loud speaker and headphone outputs, and independent level controls helpfully placed on the top. It's so much simpler. Connecting to iPad® is a nuisance. Luckily, you can plug all your USB and audio gear into Audiohub 2x4, then connect that to your iPad using a single camera connection kit. Simply play your music in and output it live, all while powering your gear without draining you iPad battery as quickly.